Replacement aluminum can for Fuel Safe standard racing fuel cells. 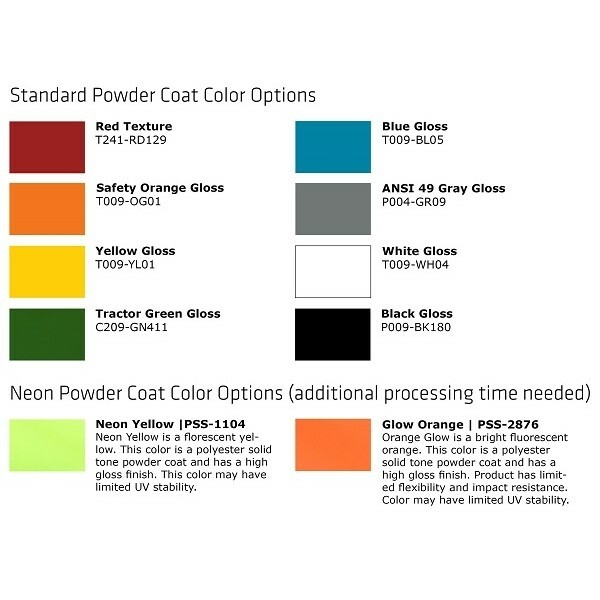 .063 raw aluminum can with mounting and powder coat color options available. NOTE: Whenever breaking the seal of any gasket on the fuel cell, it is recommended that the gasket be replaced. 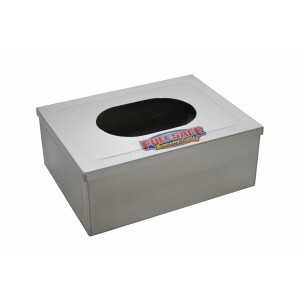 AC105 5 gal Pro Cell/Sportsman/Enduro/Race Safe/Core Cell(EED) 13.625" x 13.625" x 8.375"
AC108A 8 gal PC/SM/ED/RS/EED 20.75" x 16" x 7.75"
AC108B 8 gal PC/SM 20.125" x 12.125" x 8.625"
AC110 10 gal PC/SM 25.625" x 10.125" x 10.125"
AC112 12 gal PC/SM/ED/RS/EED 20.75" x 17.875" x 9.5"
AC115 15 gal PC/SM/ED/RS/EED 26" x 17.875" x 9.5"
AC117 17 gal PC/SM 20.125" x 17.125" x 12.75"
AC118A 18 gal PC/SM 28" x 17.125" x 9.875"
AC118B 18 gal PC/SM 33.5" x 20" x 6.5"
AC122A 22 gal PC/SM/ED/RS/EED 34" x 18" x 9.5"
AC122B 22 gal PC/SM/ED/RS/EED 25.5" x 17.125" x 13.75"
AC122C 22 gal PC/SM 25.75" x 25.75" x 8.5"
AC126 26 gal PC/SM/ED/RS/EED 26.25" x 17.875" x 14.5"
AC129 29 gal PC/SM/ED/RS/EED 24.25" x 24.25" x 12.75"
AC132A 32 gal PC/SM 34.5" x 17.875" x 14.625"
AC132B 32 gal PC/SM/ED/RS/EED 26.25" x 17.75" x 18.5"
AC144 44 gal PC/SM/ED 25.75" x 25.75" x 17"